As I mentioned in a prior post, my mother in law and I trade off on making meals while camping… oops, did it again… glamping, that is. It greatly cuts down on the cooking effort. But here’s the thing, you have to find food that everyone will enjoy. Heat the butter and oil in a large pan over high heat. Add the onion and cook until the onion is very brown and fried. Then add the ginger, garlic, and spices. Cook for one minute then add the zucchini and broccoli and cook another 2 minutes until browned. 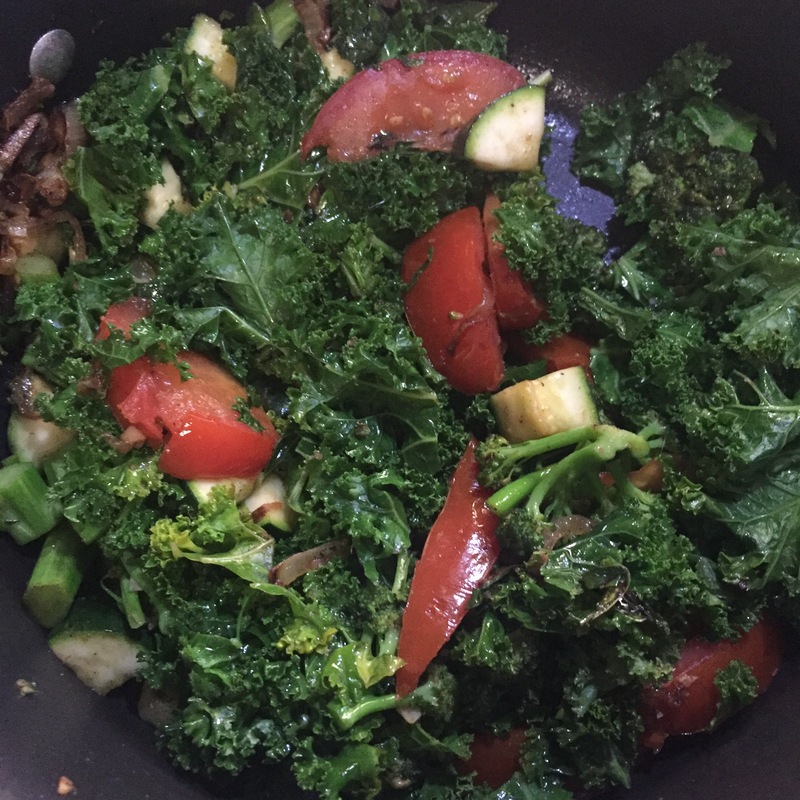 Then add the tomatoes and kale, stir and cover with a lid to soften the kale for 2 minutes. Remove the lid and stir again. Spritz with the lime juice and serve hot with rice and grilled curry chicken. In a medium pot set on high, add the butter and oil and sautée the onion unitl very brown. Add the garlic, ginger and spices and cook for one minute. Then add the rice and stir. Allow the rice to toast a bit while stirring. Then add the broth. Bring to a boil, then cover and lower the heat to low. Cook for 35-40 minutes to nail rice is done.